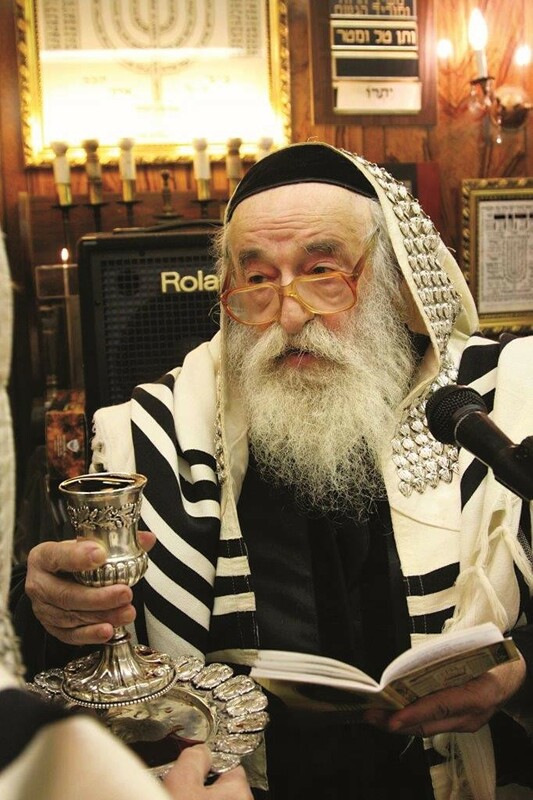 Klal Yisrael lost one of its last precious links to the Gedolim of previous generations with the passing of Harav Yosef Moshe Meisels, zt”l, the Veitzener Rav of Williamsburg. He was the son of Harav Tzvi Hirsh Meisels, zt”l, the Veitzener Rav of Chicago and a scion of the Chassidic dynasties of Uhel and Sanz. The niftar was renowned for his impeccable middos, calm nature, and chessed. At the same time, Rav Meisels was a man of tremendous spiritual strength and tenacity who was steadfast in his loyalty not only to Torah and mitzvos, but to the most minute practice of his holy antecedents through the challenges of the Holocaust and then of post-war Eretz Yisrael and America. He was born in 1926 in the Galician town of Neimark, where his father served as Rav before assuming his position in Veitzen in Hungary. He studied mainly under the tutelage of his grandfather, Harav Dovid Dov Meisels, Hy”d, the author of the sefer Binyan Dovid. Young Yosef Moshe was also privileged to bask in the light of several tzaddikim of the time, including Harav Shalom Lazer Halberstam, Hy”d, the Raczferter Rav, a son of the Divrei Chaim of Sanz; the Minchas Elazar of Munkacs; and the Chakal Yitzchak of Spinka. During the war, the niftar was interned in various ghettos, before being transferred to a work camp. He recalled the many times that he was within minutes of death and was miraculously saved. Soon after liberation, Rav Meisels traveled to Eretz Yisrael, where he became a talmid muvhak of Harav Yosef Tzvi Dushinsky, zt”l, the Rav of Yerushalayim. For the rest of his life, the niftar remained especially attached to the memory of his dear rebbi, and studied his sefarim daily, even authoring a commentary on his writings on Meseches Shviis. In 1948 he traveled to America to marry Malka Shneck, a”h, the daughter of Reb Moshe Schnek, z”l. Harav Meisels lived first in Chicago working as a sofer and melamed. Despite his vast Torah knowledge, great hasmadah, and prominent lineage, he was insistent on not relying on these for his livelihood, and for most of the half century that he lived in Williamsburg worked in New York’s 47th Street diamond district. Following his father’s petirah in 1974, Rav Meisels opened the Veitzener Beis Medrash of Williamsburg. This article appeared in print on page 20 of the April 22nd, 2015 edition of Hamodia.